The Albany Plan of Union was a proposal made at the Albany Congress back in 1754 aimed at a formation of a strong union of the colonies under one single government and direction. The need was justified because of the necessity for defense against the threats and consequences posed by the infamous French and Indian War. 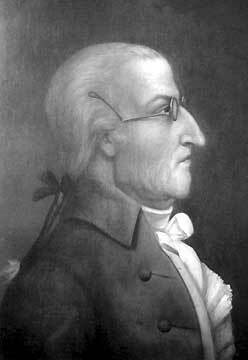 It was proposed by Benjamin Franklin, and was among the many plans presented by the different delegates that participated in the Albany Congress. The Albany Congress formed a committee that was tasked to carefully consider the different plans and proposals. It finally settled in on Franklin’s proposal, with just a few adjustments and modifications. Among the members that comprised the committee included Chief Justice Benjamin Chew, Isaac Norris and Richard Peters. The proposal called for a general government that will be administered by a President General appointed and fully supported by the Crown. It also called for a Grand Council where the members are chosen by representatives coming from the colonial assemblies. As anticipated, there were many objections debated by the different sides, as difficulties presented on the table were all addressed and resolved. In the end, it was unanimous; Albany Congress delegates finally adopted the proposal themselves. Copies of the approved plan were sent to Colonial Assemblies and to the British Board of Trade in London. The Plan had all the makings of great things to come. It was foreseen that the idea is noteworthy in most aspects. 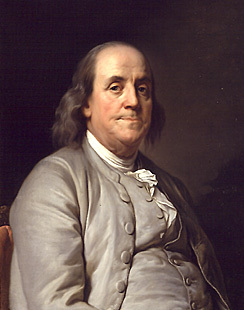 Franklin, to begin with had anticipated many of the serious problems that will pose risks to a post-independence government. Among the issues that could well derail national development would be finance, control of commerce activities, national defense, and most especially, dealing with the different Indian tribes. If one is to dig deeper, the plan had the perfect ingredients for a true union. Many of the great ideas were to be revived and later adopted in Philadelphia. It is worth noting that the plan was flatly rejected by both sides. It was never acceptable to them in the first place. Most of the people, and the colonial assemblies in general are thinking backwards and very suspicious of the idea of a central taxing authority. On the other side of the line, many personalities in the British government are never in favor of a consolidation of additional power at their disposal. One reason for this was that they are already well aware of these strong-willed colonial assemblies and their absolute resolutions. The British government instead preferred that colonists should focus more on the planned military campaign. The Board of Trade for their part, never sought any official approval from the Crown. They instead proposed that the colonial governors and their respective councils should facilitate in the efforts of raising armies and the building of forts. The money needed for these activities will come from the Treasury of Great Britain, and would be later reimbursed through an Act of Parliament that would tax America. But such things were never meant to be. The plans’ real implementation would not happen until American settlements finally declared their independence.